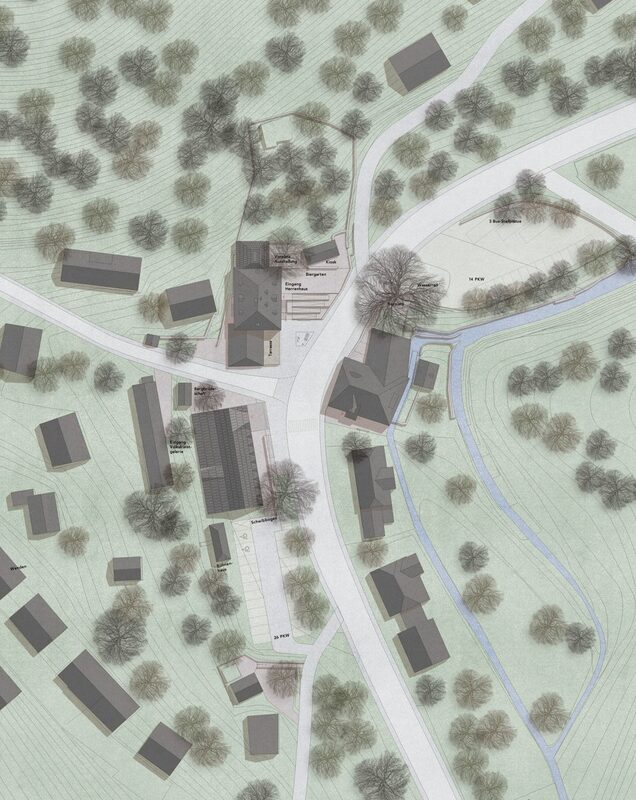 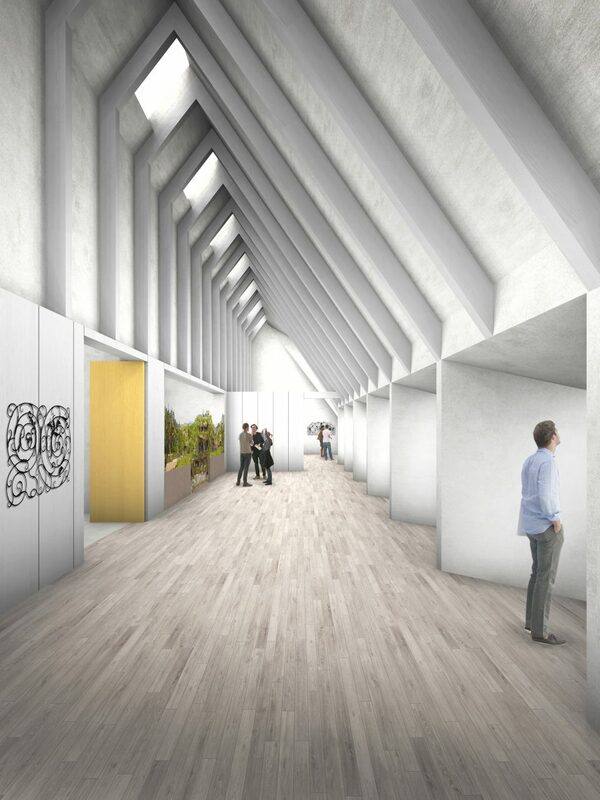 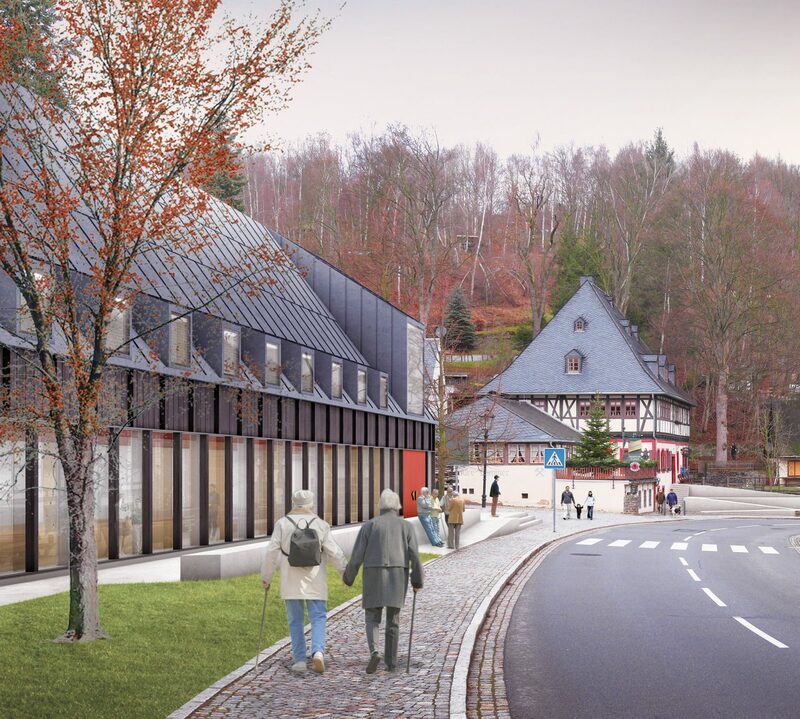 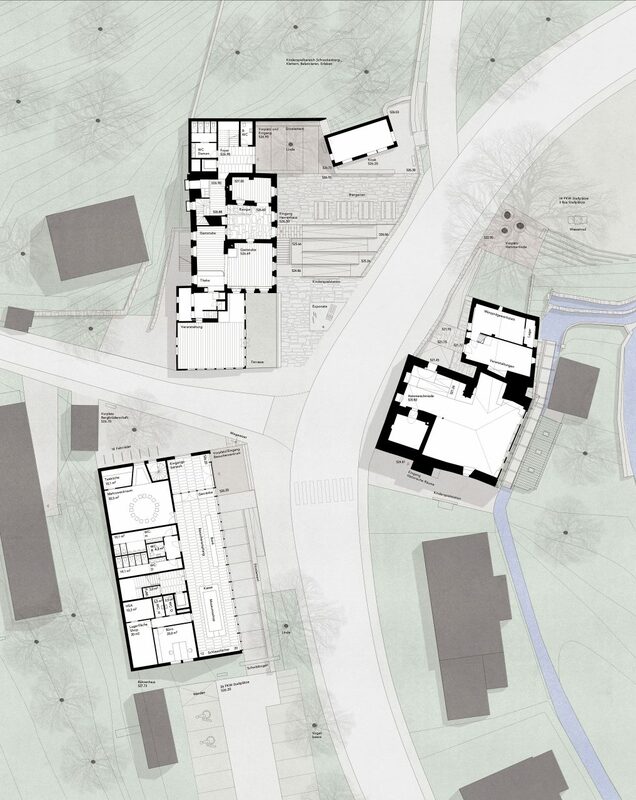 The design for new visitor facilities and landscaping of the listed museum complex supports the existing house and blacksmith museum on various scales. 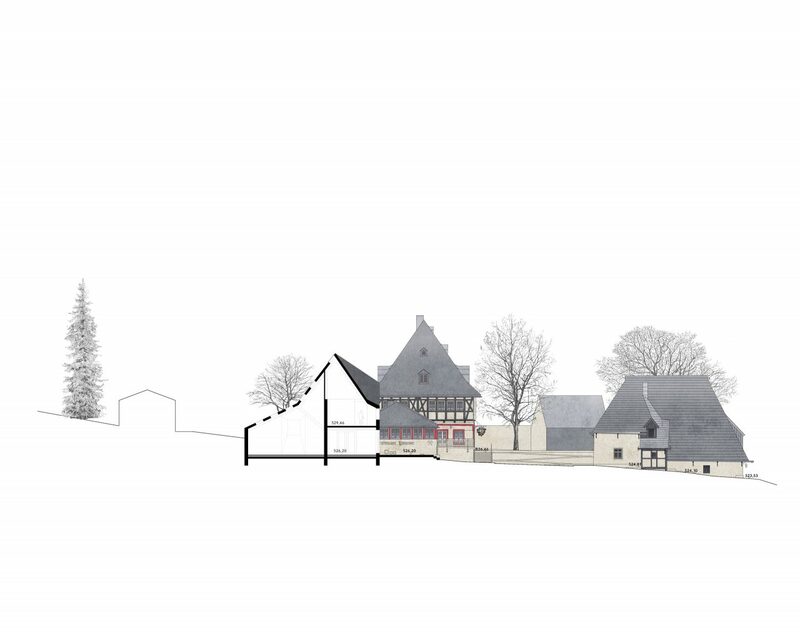 The positioning of the new-built visitor centre makes a simple and meaningful ensemble of three parts with the two existing buildings. 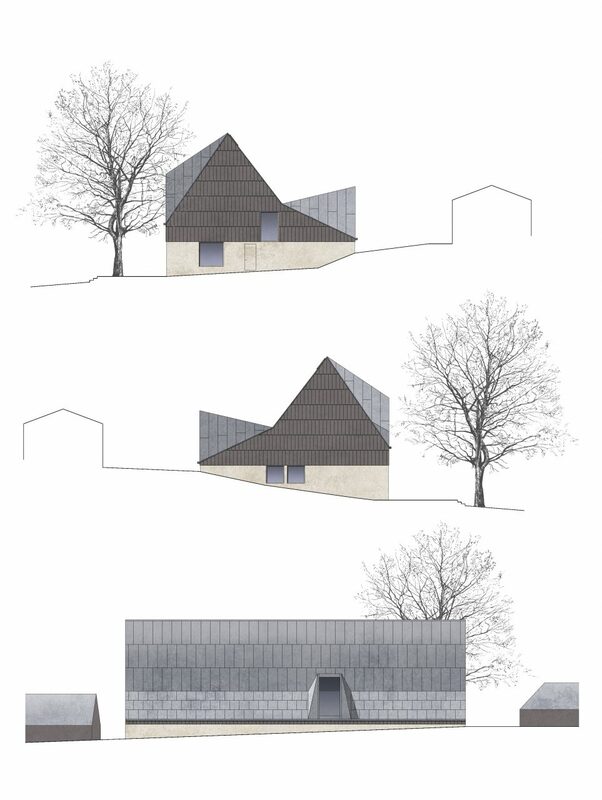 Together with the soft and hard landscaping elements which also provide levelled access throughout the distinctive topography, the three sites are stitched together to allow for a varied and informative visitor route through the museum with a powerful sequence of characterful historic and new rooms, embedded into dramatic landscapes. 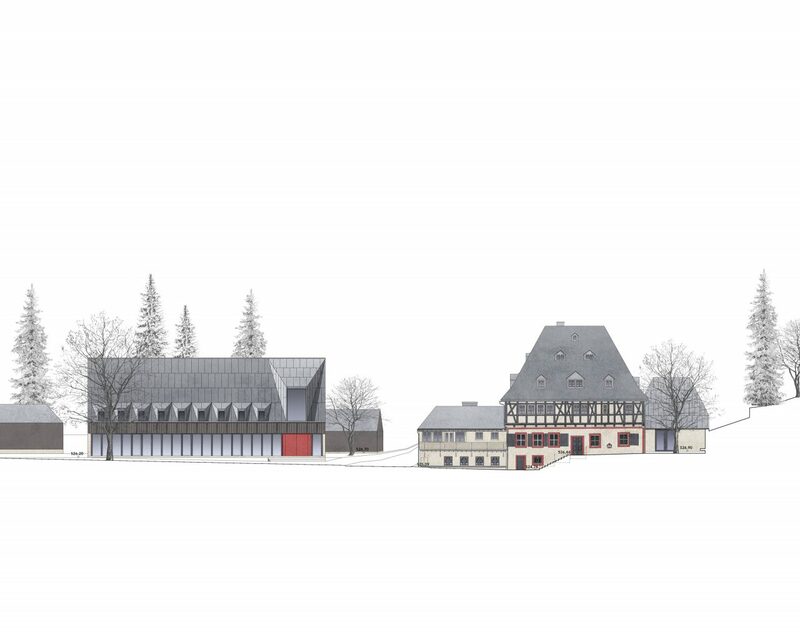 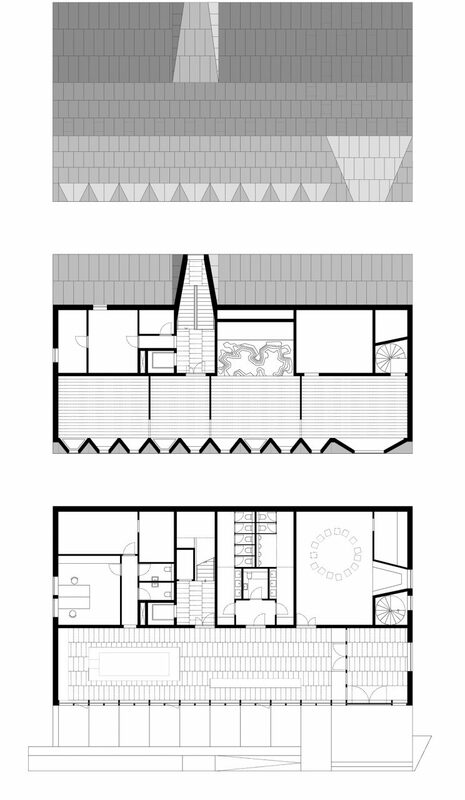 The massing of the new building echoes the steep roofs of the local houses and puts its main exhibition space as a large barn-like interior under the expressive timber construction. 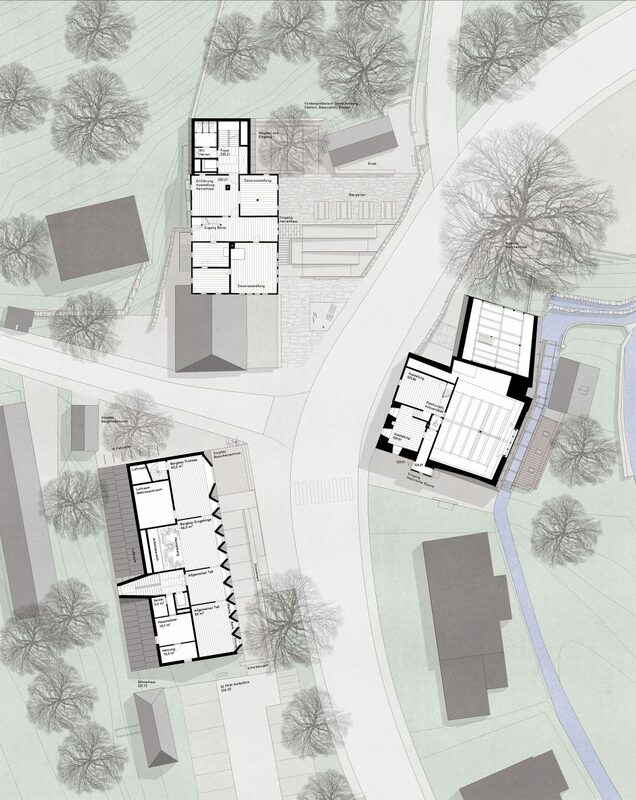 A suite of small dormers and one large bay window connect all display rooms with picturesque views to the site and beyond that to the archaic landscape of the valley.